The Leadership Insiders network is an online community where the most thoughtful and influential people in business contribute answers to timely questions about careers and leadership. 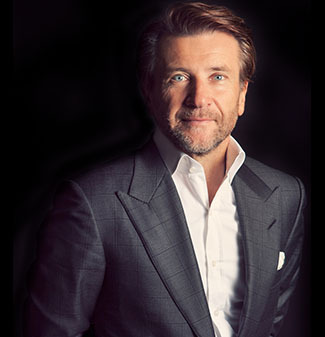 Today’s answer to the question, “How do you ask for a raise?” is written by Robert Herjavec, founder of Herjavec Group. Everyone wants a raise. But most people don’t know how to ask for it. It’s a conversation that makes us edgy. It’s awkward because you feel you have to negotiate your worth. The truth is: That’s exactly what you are doing. You have to own it! There are rare instances where your leader may come to you and say, “Great job! You’re killing it and here is an extra salary boost as a ‘thank you’!” If that happens—phenomenal. But more often than not, you have to ask for a raise and treat it like a business negotiation. As in any good negotiation, you need to plan ahead. Be prepared to make your case. It’s your job to present the value you’re adding to the company. You’re not holding your breath and waiting for a response; you’re laying the facts out and pushing for what you want. If you want this raise badly enough, you will initiate the conversation. This is not a time to pull the sympathy card. Everyone has a different comfort level with their boss, and there may be times when discussing personal financial burdens come up in a conversation. But this is not appropriate for a raise discussion. Remember, you’re asking for a raise based on the great work you’ve done, not sympathy. Earning a raise isn’t about the past; it’s about the future. You are proposing that the increased salary or sales commissions you earn over the next 12 months will be more than balanced by an increase in your value to the company. Make this point effectively, and you’ll improve your chance for more money. Practice your pitch until you know what you are going to say in response to the questions you are likely to be asked. Understand the company’s perspective when it comes to awarding you a larger salary or commission. And be proactive by asking what it will take for you to earn the raise. Look for ways to prove that your work has improved over the past year. Suggest that your improved performance will extend into the months and years ahead, in line with the company’s goals. Preparing to ask for a raise doesn’t come a day before the conversation. It’s all in the hard work that you have put in and the commitment you are willing to make going forward. I’ll let you in on a secret: It feels just as good to give someone a raise as it does to receive one. So plan ahead, be transparent, be firm, and remember that the final decision comes down to how much value you add to the company.